This weekend was my daughter’s 2nd birthday. I still can’t believe she’s 2. I know it’s such a cliché, but time goes by so fast!! 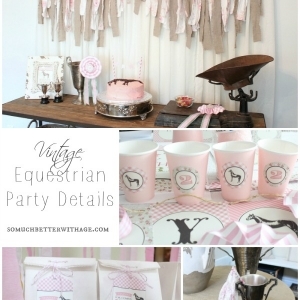 Her party was a Vintage Equestrian theme. 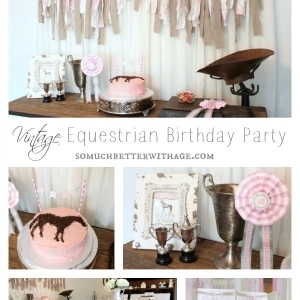 No she didn’t request ‘vintage equestrian’ but she loves animals and I’m sure I’ll only have a few years to be able to decorate the way I want to. Actually, I’m pretty sure she’ll have her own request by next year. My son puts in his birthday party theme request about six months before his birthday! 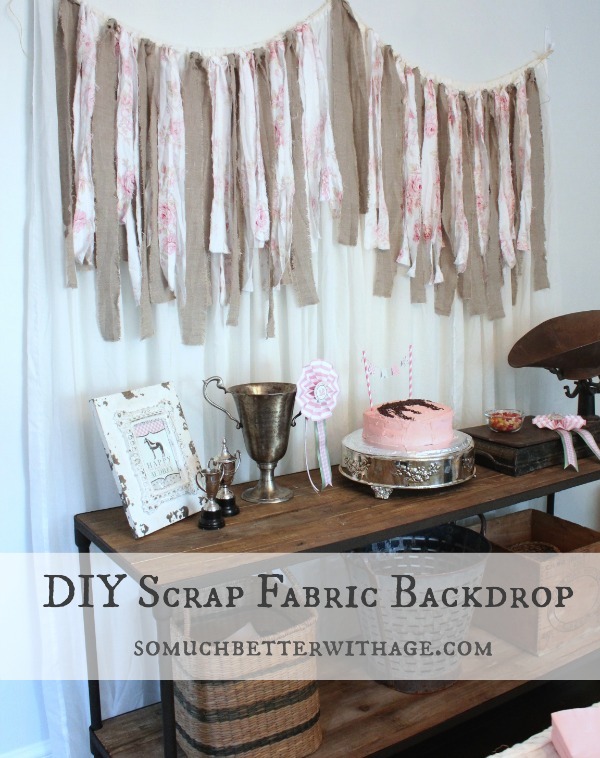 Today I’m sharing with you how to make a scrap fabric backdrop. And best part? It’s really easy to make! 2. 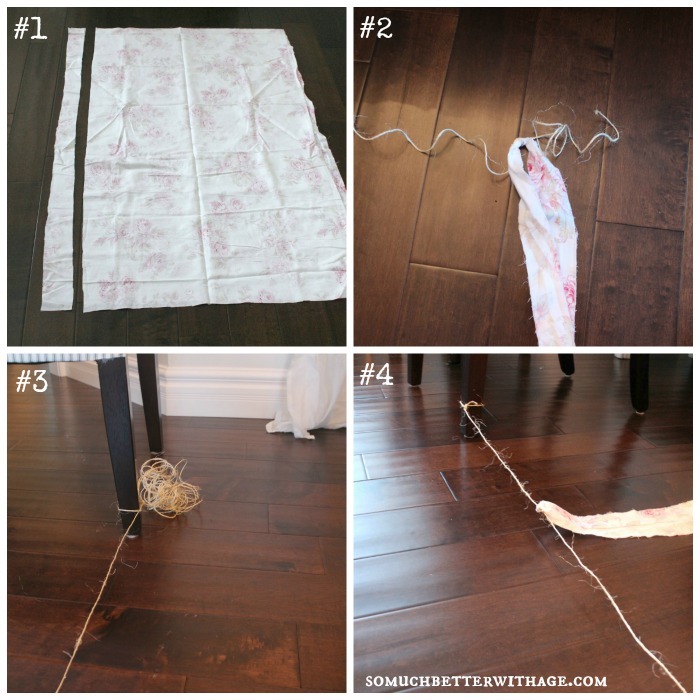 Fold the fabric scrap over a long piece of twine and knot it in the middle. Then knot it again. 3. 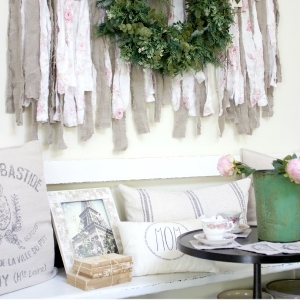 You might want to tie the ends of twine to table or chair legs to keep it straight while you’re knotting away. 4. I did 2 floral strips then 1 linen strip. 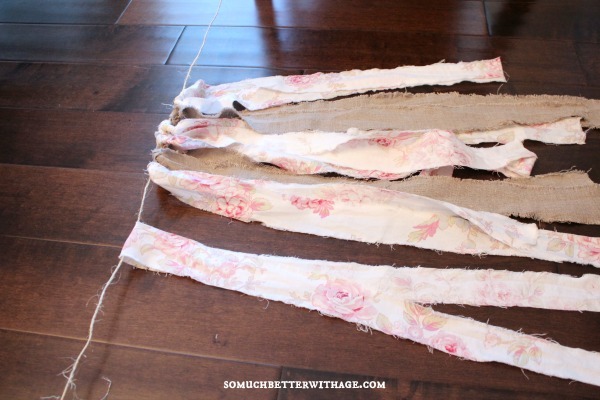 Keep knotting fabric over until you’re happy with how much you have. 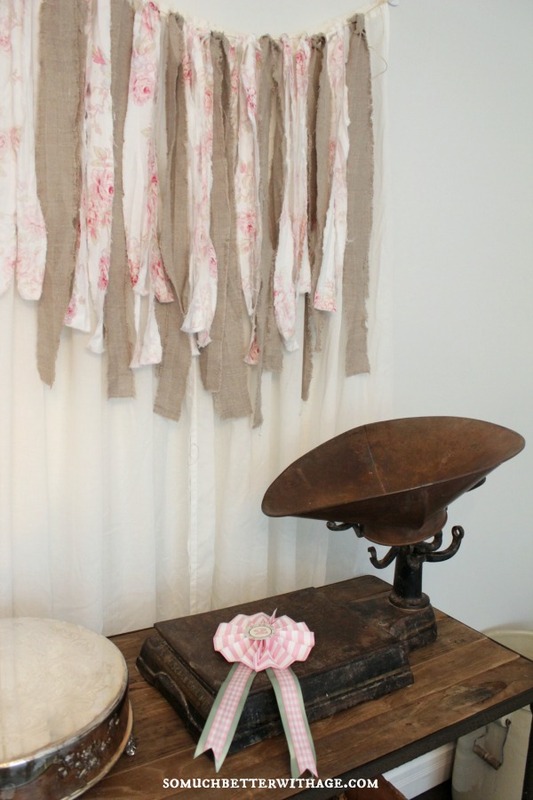 My project: 15 beige linen strips and 28 floral bedsheet strips. And that’s it! I hung the twine on three Command Strips over the party curtains I made last year. I absolutely love how it turned out and I really want to make some more…I just need to find the time. 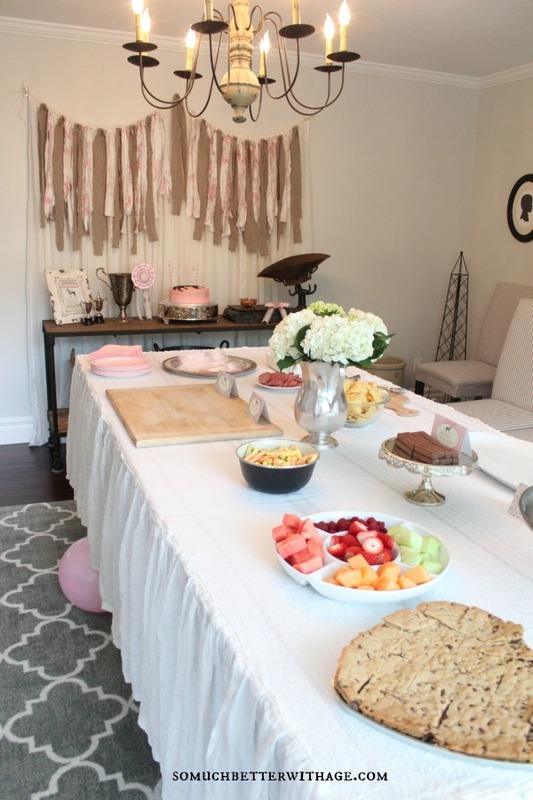 Coming up soon…how to make your own party tablecloth and is that a new rug? Ok I love, no LOVE this swag! Then I took another look at the picture and I realized I LOVE the whole picture. 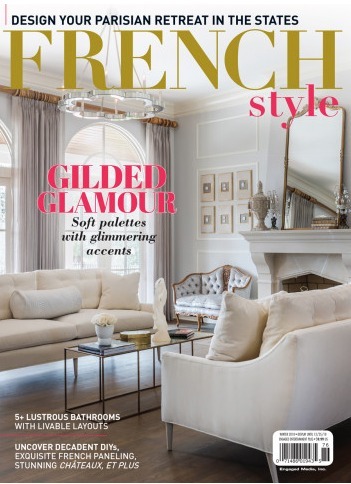 Feel free to just box up that whole wall, sideboard, etc.. and send it to me. 🙂 So pretty! love it Jamie. I’ve been wanting to do one of these for a while, we are redoing my daughter’s room and seeing your fabric backdrop has sealed it. This is happening in her room! It makes for a lovely backdrop! I also have to say that I love your rug in here! 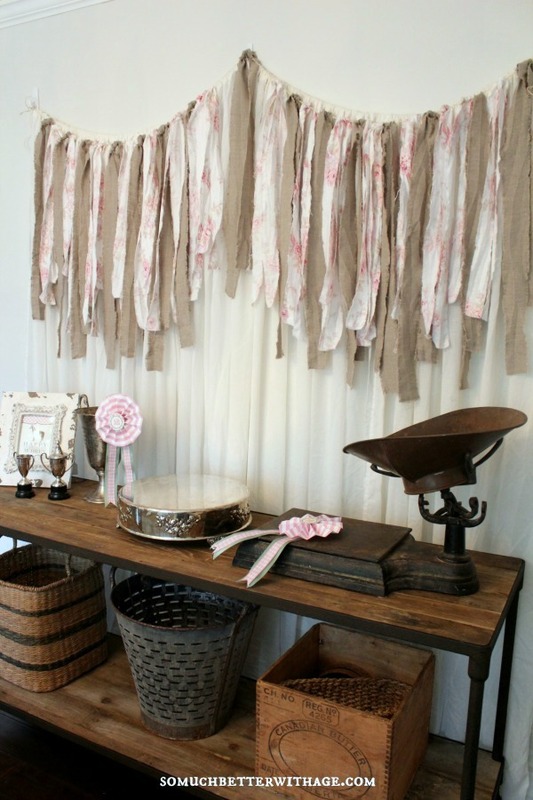 Love the fabric backdrop!! 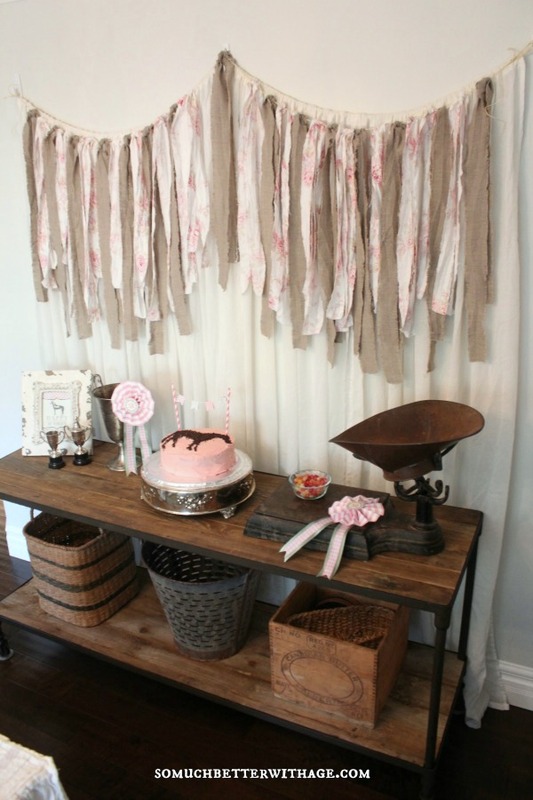 !…Such a great idea…beautiful display and table…and love the rug!! Sooo cute! 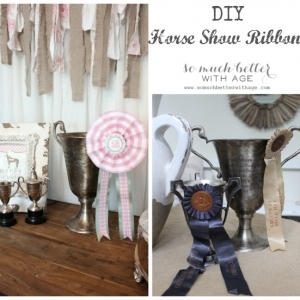 My daughter is an equestrian…I may have to steal some of your ideas for her July birthday! =) You are so creative, thx for sharing! 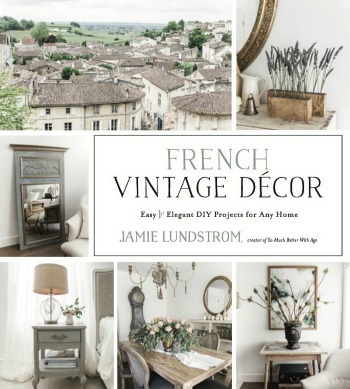 So pretty Jamie, love it! 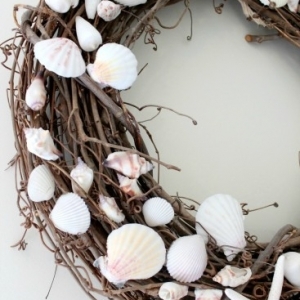 This is so fun & festive! And the possibilities of fabrics and colors are endless! I love your fabric garland! I’ve been wanting to make one for my daughter’s room. This is the inspiration I needed to get started! 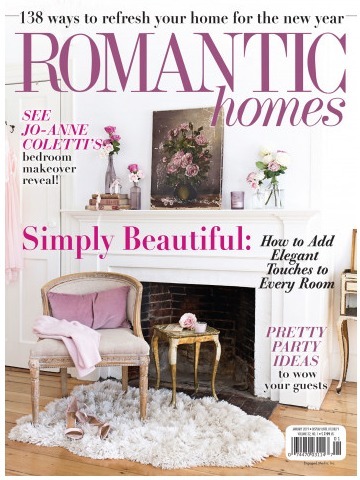 Thanks for sharing at the Inspiration Gallery link party!